Too often Christianity is criticized by unbelievers in our communities and neighborhoods because they only hear and witness criticism and condemnation. They hear only what Christianity is against and not what we are for, nor do they hear of the hope that Christ offers. What they need to hear and witness more of is the love of God deliberately demonstrated in the community. That is what is so exciting about Friendship Baptist Church’s decision to expand and engage our surrounding communities in a relational and relevant fashion. For our outreach to be effective, we need to speak louder than the other voices that are piercing the ears and hearts of our family, friends, and neighbors. FBC has clearly demonstrated the desire to do just that! “Love Loud! WeCare @friendshipchurch” is born out of that realization and the language that we will use to communicate our servant evangelism ministry to you and to those who we hope to reach with the Good News of Jesus Christ. We Encourage You To Explore The Many Ways That You Can Serve In Our Community. A partnership between K-9 and owner. Bringing comfort to children and adults in all settings; hospitals, nursing homes, special care facilities, etc. Great for you and your dog. Contact Lori and speak with her; "Bailey" may be a challenge to understand. During 2012 Friendship Baptist Church completed a Transformational Church Assessment (TCA). The TCA provided a method for our church family to explore and identify areas of ministry that were deemed essential for our church to advance God’s Kingdom. One of the specific action items was, ‘“to develop a strategy to implement “to Sykesville and Eldersburg with Love.” This would be a ministry strategy to say thank you to area schools . . .’” In response to this action item our church began serving free Chik-Fil-A Teacher Appreciation Lunches to the five elementary schools in the Sykesville and Eldersburg area beginning in January of 2014. Since then Sykesville Middle and Oklahoma Road Middle schools have been added. 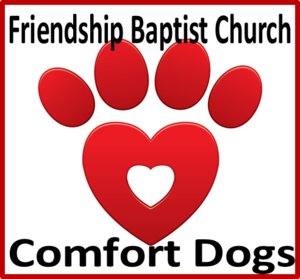 Mentoring Program—This program will include the school children reading to our Comfort Dogs and our Puppets. 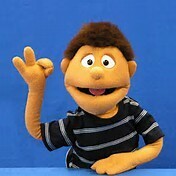 There will also be opportunities members of our church to serve in this program without the dogs or puppets. Weekend Backpack Program — a program that provides food for children in the schools who might not have a meal until they return to school on Monday. 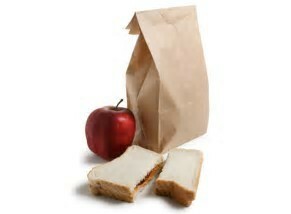 LoveLoud Principals Fund — This will help with field trip, lunch & outdoor school costs for children In need. LoveLouder Saturdays — Our church will organize two school property enhancement and cleanup weekends per year at the seven schools. God has already provided us with people in our church to lead these opportunities. Please seek to learn more about the opportunities and pray about how you might get involved. Your co-laborers in Christ and School Partnership Leadership Team — Marcy Boteler, Carmen Castiglia, Ed Fulton, Connie Schaeffer, and Mark Klimovitz. 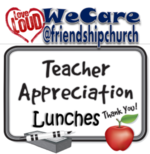 FBC hosts annual teacher appreciation lunches at the following schools that surround our church—Carrolltowne ES, Eldersburg ES, Freedom ES, Linton Springs ES, Piney Ridge ES, Sykesville Middle, Oklahoma Road Middle, and Liberty High School. The church provides Chik-Fil-A Party trays, chips, bottled water, and homemade cookies for the schools’ teachers to enjoy. 2017 was the 4th year for the annual event and since it's inception more than 3,500 teachers and support staff have been served. Friendship Baptist Church has partnered with the Town of Sykesville to complete numerous projects that benefit the many friends and neighbors who live in the community. 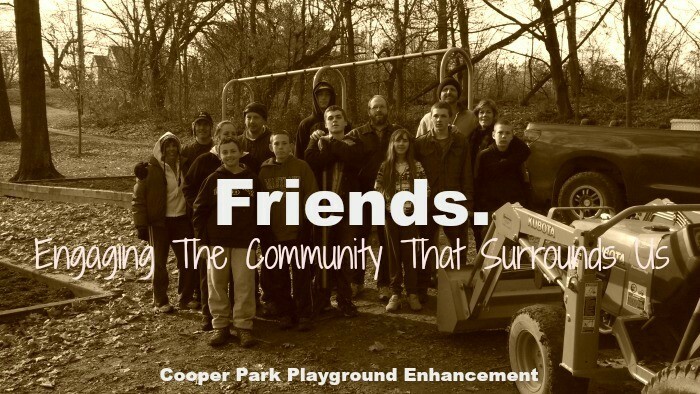 FBC replaced the roof on the main Millard Cooper Park pavilion, purchased and spread 65 yards of safety mulch in the Millard Cooper Park playground and made a cash donation towards the purchase of the Sykesville Police Department storage shed. FBC is continually seeking additional opportunities to assist the Town with projects that will enhance the quality of life and town facilities. Through their training and materials, Cancer Companions listen and guide cancer families through these topics -- Faith, Questions, Healing, Prayer, Stress Reduction, Relationships, Communication, and Healthy Living.